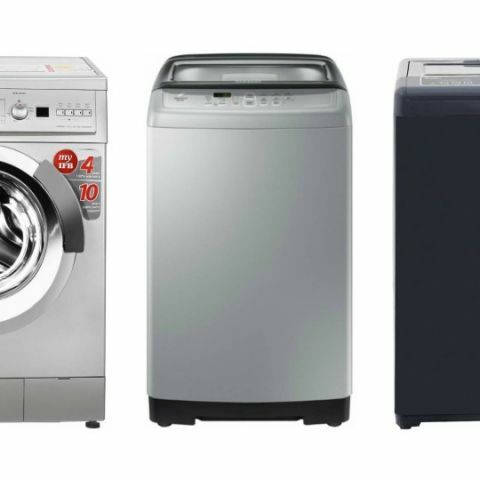 Today, we have found some interesting deals on Flipkart on washing machines. The products we have found on the platform are from brands like Samsung, IFB, LG and more. Today, The Flipkart is offering up to a 40% discount on washing machines along with a 5% cashback for those who will pay using Axis or ICICI Bank credit card. The products in the list below are across various price range and are from brands like Samsung, LG, and more. The Samsung 6.5Kg Fully Automatic Top Load Washing Machine comes with Wobble function, which cleans your clothes, removes stains, and doesn’t let them tie up in knots, therefore reducing a damage to them. The Air Turbo Drying system in this washing machine dries your clothes completely by the time you are about to take them out. Moreover, the magic filter in the tub gathers up all the stuff that comes out from your clothes during a wash at one place and do not let pipe block. Click here to buy. The MarQ 6.5Kg Fully Automatic Front Load Washing Machine comes with ten wash programs that allow you to set the mode as per your washing requirements. It also has a 15 minutes express feature for a quick wash. The machine is water and energy resistant which means it does not just help you with saving money on your electricity bills but also saves water. Click here to buy. The LG 6.2Kg Fully Automatic Top Load Washing machine comes with a Smart Inverter Technology that consumes less energy by reducing unnecessary operations. As per the company, the LG BMC motor protection holds the motor tightly and keeps the machine silent and stable during a wash. The machine also features an Auto restart function, which allows the machine to resume its operation automatically after a power cut. Click here to buy. The Whirlpool 6.5kg Fully Automatic Top Load Washing Machine features an Express Wash function, which lets you wash your clothes 50% faster than the regular washing. The washing machine also comes with an Intelligent hard water wash technology that ensures 30% better cleaning. Click here to buy.